Noel: I’m not sure what else needs to be said about this episode beyond: THEY CLONED HITLER. KERENSA. THEY. CLONED. HITLER. Kerensa: They cloned Hitler. And it was still boring! How’d the episode work for you? Noel: Aww. I think I may have liked it more than you. The willingness to clone Hitler seemed pretty nutty, and I sort of dug the ridiculous cloning process (inflatable Nazi uniforms!). And Diana stopped a tank! A tank! That was cool. But I also think it was another nice link to the first season, a way to wrap up that season one last way. It even stayed accurate with the Nazis hiding out in South America. Where was Claude Rains?! You have stronger feels the other way. Let’s hear them! Kerensa: Not really–I was just bored mostly. I do agree that it was a nice link to the previous season–especially with the South America ties. I loved the cloning process too! It was hilarious. I just thought it was kinda meh–I mean anything following Lucille Bluth was going to uninterest me. However, I do really like the way that the show is developing the platonic relationship between Steve Jr. and Diana. He’s so much better than his father! Noel: If there’s been one upside to the 70s relocation, it’s that Diana Prince is allowed a bit more activity in the field, even though this time it involved her being captured, and I don’t think that ever happened in Season 1…But it all did feel a bit generic sometimes. The bunker gave it a nice sense of place, but any time they were just out in the countryside or dealing with the (thankfully) not corrupt police force, it just felt a bit tired. I didn’t realize how much the World War II setting just helped to give the show some flavor. I’m all for more platonic. And this Steve is, I think, a bit more believable as a respected agent than I really ever believed his father as a war hero. What did you think about Joe, Steve and Diana’s…supervisor…?, and their mysterious boss who only communicates in the secret secured room via a flashy computer set up? Kerensa: I agree. It’s great seeing Diana having more to do as Diana. And for me, that’s what had been playing majorly into her platonic relationship with Steve Jr.–he sees her as a respected colleague with ideas and things to contribute. And I think in the first season Steve just always wrote Diana off–even though most of the time she was basically feeding him what he should be doing. I also like that Steve Jr. seems to actually care when Diana disappears unlike Steve previously did. I think, like you said, that Steve Jr. is much more believable as an agent. He seems to have his wits about him and just generally seems smarter. Maybe it’s from his mother’s side? Blerg. Was every boss in the 1970s mysterious and giving messages via a ridiculous computer set up? However, at least it wasn’t that annoying talking computer from the last episode because that’s what I thought we were in for the minute they went into that room. Obviously, I’m not into this. It feels very generic. What did you think? Noel: And now I want to meet Steve Jr.’s mom. Thanks for that new fanfic, Kerensa. We’re only 2 episodes in, so it’s tough for me to be too critical — just yet — but I do agree that the 1970s action TV show trappings have undermined a lot of the first season’s charms. I hate that some of it is that Diana’s not having a great deal of exposure to the 1970s, or learning about how the world works again. While I wasn’t always crazy about her idiom confusions, it was still a decent source of humor as she learned about things, and here, we’ve only really had that in the premiere of this season so far, but even then she was super-capable with that computer! I’ll be interested to see how our next new episode plays out now that we’ve likely to have dealt completely with all the loose ends of the transfer between networks and decades. Kerensa: Anytime! I’m sure I’m full of great fanfic ideas. I agree with you. But I don’t think I’ve noticed it that much about Diana not knowing what’s going on in the 70s. She seems like she has a much better grasp of what’s going on than she did in the last season. We’ll be off next week, and it’s unlikely we’ll run anything superhero- or Wonder Woman-related. This Was Television Asked & Answered: What Old Show is at the Top of Your Summer Catch-Up List? I loved this episode, one of the best so far. Mainly because of the plot. Cloning Hitler is something of an adventure-story trope, and it never gets old. THE BOYS FROM BRAZIL came out the year after this, so WW was ahead of the pack this time. Lots of action and Diana doing cool things. 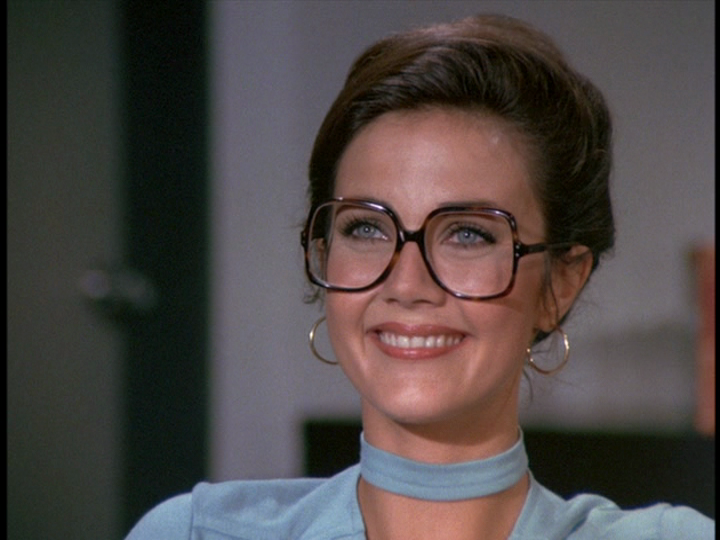 I don’t believe the story that Lynda Carter is doing her own helicopter stunts. 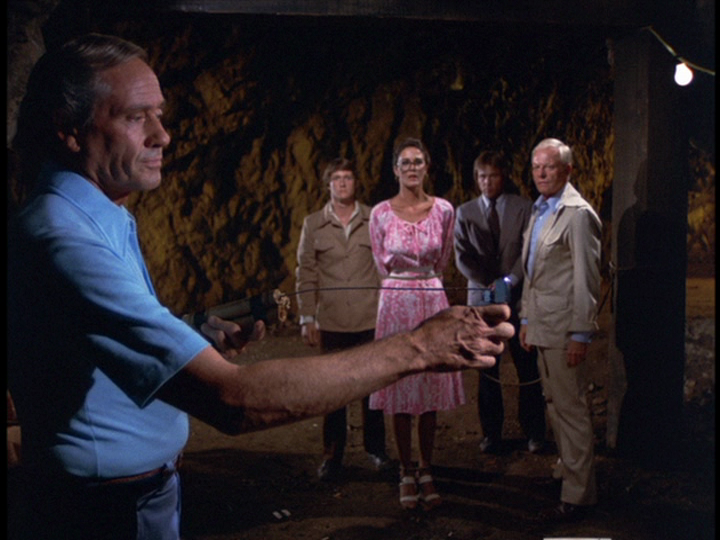 Plus, Mel Ferrer, a once-big movie star now doing silly episodic TV and grimy exploitation movies. Unfortunately, he is captured off-screen, which was a mistake. Also, speaking of tropes, this episode managed to film in both Bronson Canyon *and* Franklin Canyon, two of the most familiar locations in Hollywood history. I’m guessing that bunker is part of the reservoir at Franklin Canyon. Anyway, great episode. Don’t care about Joe, and he’ll be gone soon anyway. It seemed obvious to me, but maybe not to you guys, that the mysterious voice with the Southern accent giving Diana and Steve their orders was Jimmy Carter.